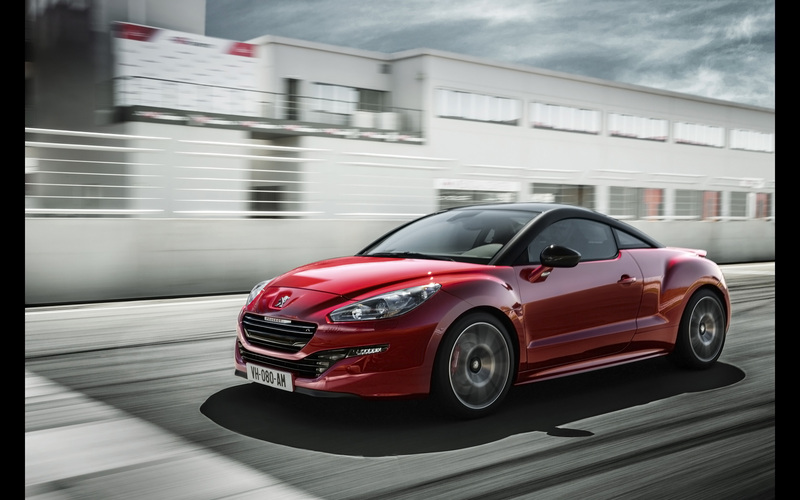 At this year's Goodwood Festival of Speed, Peugeot will unveil the RCZ R, a super-performance version of its popular Sports Coupé, evolved from the expertise of the brand in terms of design and driving experience. Its new THP engine produces 270bhp from its 1.6-litre displacement and CO2 at only 145g/km places the RCZ R with performance and unprecedented efficiency. 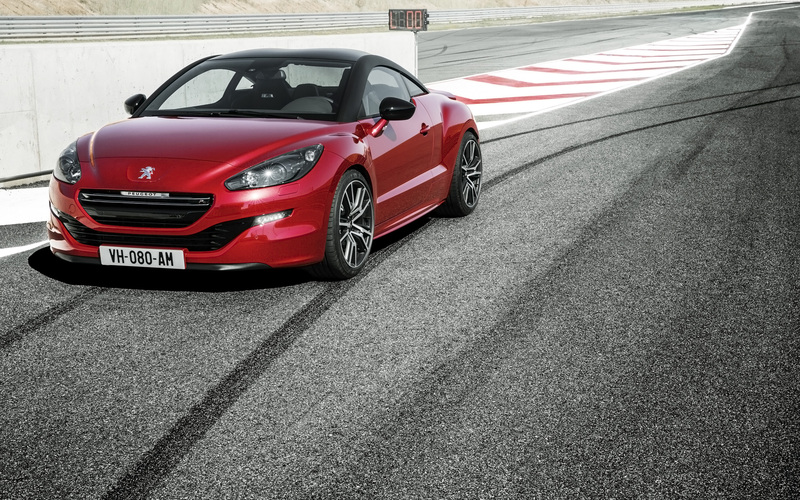 To harness this considerable power RCZ R is equipped with a Torsen®differential for the promise of grip efficiency and dynamic sensations at a very high level. 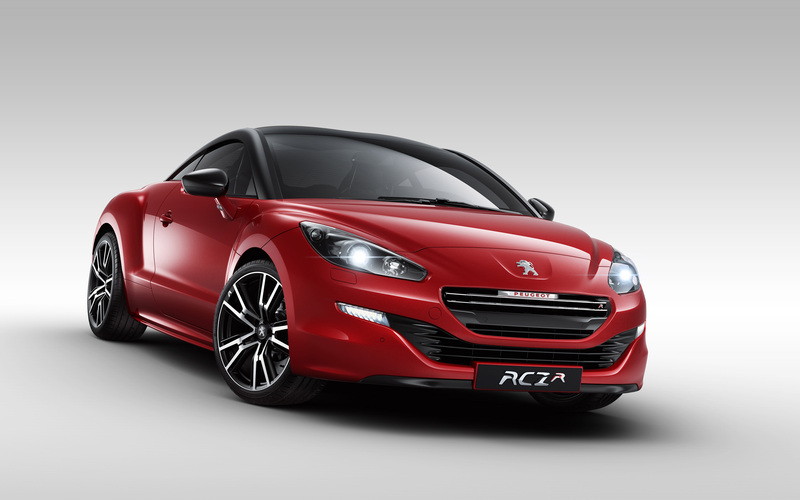 RCZ R will take its formal reveal at the Frankfurt Motor Show in September 2013 and will be on sale early in 2014. "All the strength of style of the RCZ is enhanced by the very dynamic performance and the 270bhp of this R version which will delight the enthusiasts of sports cars." Xavier Peugeot, Peugeot Product Director. 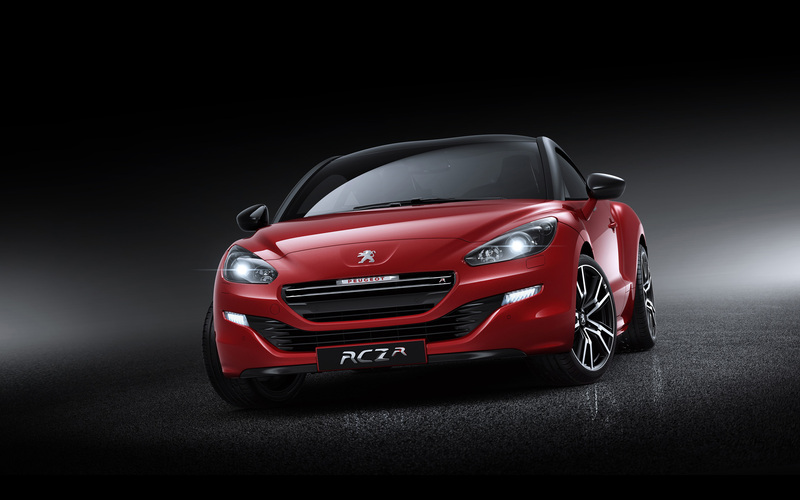 "The sporting success of the RCZ Peugeot Sport developed for racing and the passion it arouses could not remain unanswered. 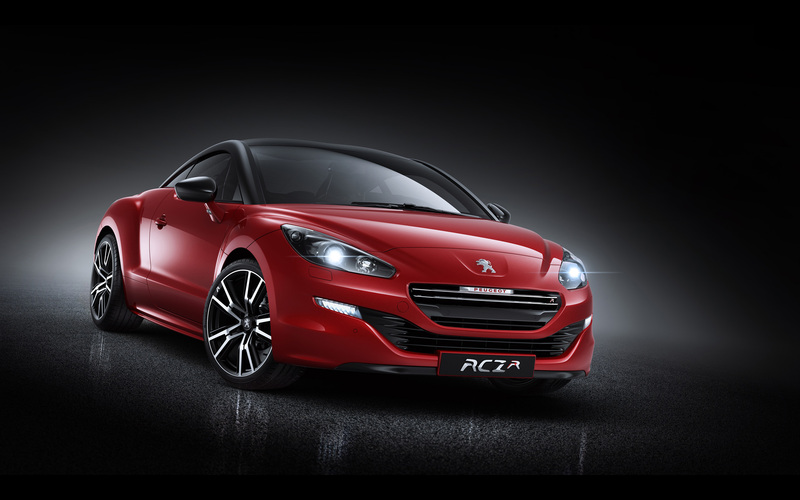 A series developed by Peugeot Sport to be even sportier and with the performance of the new version of the RCZ was an obvious step!" Bruno Famin, Peugeot Sport Director. "Our brief was ambitious; develop a top-specification, high-performance version of the RCZ, preserving the qualities of comfort and convenience for everyday use, all with low fuel consumption and CO2 emissions." Xavier Nicolas, Product Manager RCZ. With 270bhp (199kW) RCZ R is the most powerful production model in Peugeot's long and illustrious history. 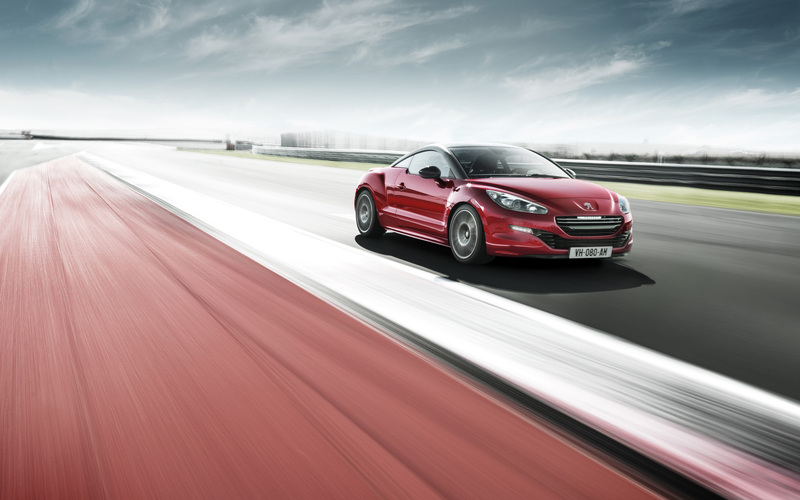 The RCZ R accelerates from 0 to 62mph in less than six-seconds and demonstrates the expertise of the brand with CO2 contained at only 145g/km, which leads the category of performance Sports Coupés. This is achieved by utilising the downsizing capacity of the engine, saving weight and ensuring aerodynamic optimisation. "Downsizing is a logical approach, not just in production vehicles but is also happening at the forefront of Motor Sport, with the major disciplines soon to use a turbocharged 1.6-litre, and even Formula 1 is doing this in 2014!" Cyrille Jourdan, Technical Manager, RCZ R.
Indeed, the new THP engine with 270bhp from just 1.6-litres provides a record of specific power in the category, with nearly 170bhp per litre, and it is among the best in the world for a production vehicle and already meets the stringent Euro 6 emissions standard. 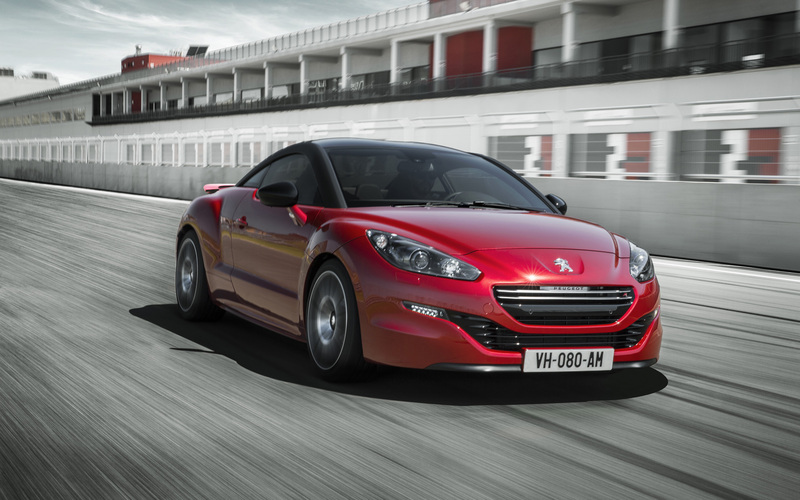 Seeking a weight saving has also guided the development of specific components with a reduction of 17kg that has been obtained over the standard RCZ THP 200bhp model. 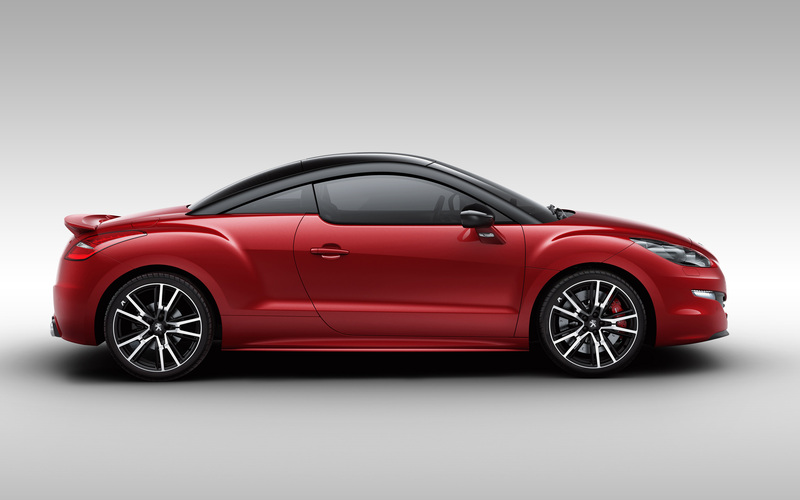 With a mass of 1280kg, the RCZ R has a power-to-weight ratio of 210.94 bhp / 1000kg. Aerodynamics have increased rear down-force with a new fixed rear boot aero-spoiler, which promotes stability at high speeds without increasing drag. "The fluid and powerful style, combining the strength and sophistication of the new RCZ, gives it a sporty and exclusive character. 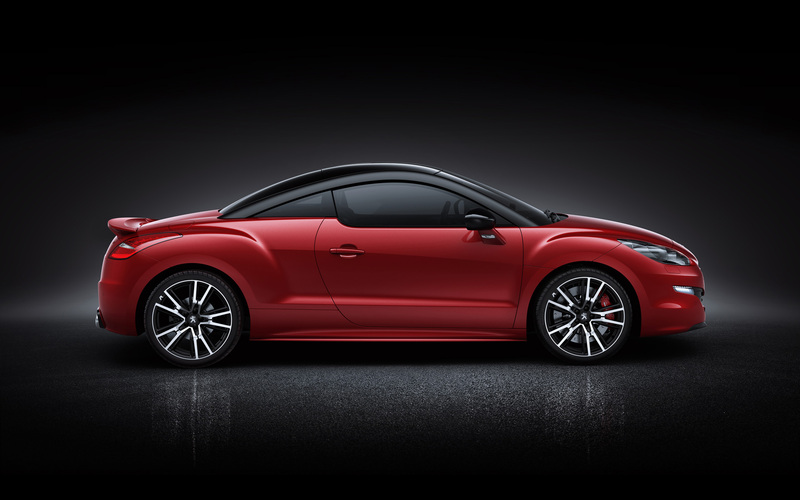 Each element has been designed specifically for RCZ R to contribute to its dynamic performance and identifiable style enhancing the attributes of the RCZ." Pierre Paul Mattei, Head of Design for RCZ. Matt black roof arches distinguish and adorn the RCZ R. Its suspension is lowered by 10mm and the alloy wheels are 19 inches in diameter to optimise grip and give the RCZ R an expressive posture. Its bespoke alloys have a two-tone diamond / black matt, technical and sporty finish with an ‘R' monogram milled directly onto a visible part of the alloy wheel. They have been designed to accommodate and optimise the cooling of new larger brakes, the red calipers at the front are signed ‘Peugeot Sport'. The perfectly integrated large fixed rear spoiler, ensures better downforce while stretching the silhouette's rear profile view. A specific rear diffuser meets the smooth effect that characterises the back of RCZ and includes two chromed exhaust pipes, located symmetrically, and a reworked exhaust system for performance and sound. 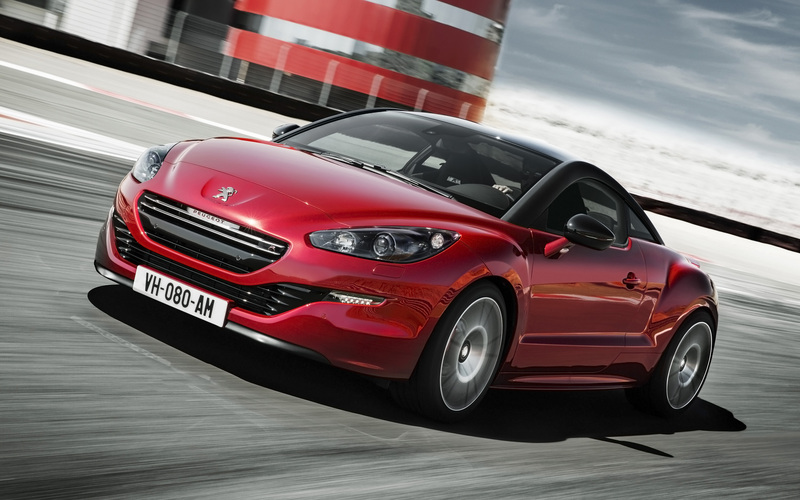 A Peugeot monogrammed ‘R' in red lettering is identified on the grille and also placed on the boot lid as a signature ‘RCZ R'. Available in 4 colours: Moroccan Red, Nera Black, Mercury Grey and Opal White, RCZ R also offers a range of custom made satin or gloss carbon roof treatments, decal designs and black mirror shells. 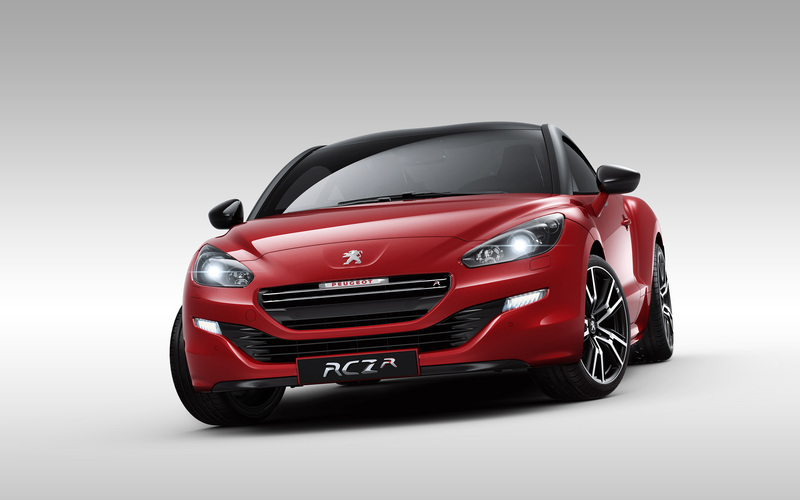 A high level of safety equipment and comfort is available on RCZ R with Xenon projector headlamps with washers. A full multimedia system WIP (World of Peugeot) Nav Plus is standard too. Opening the door reveals a cockpit of purpose, dedicated to delighting the sensations of the driver it instantly immerses the ‘driver' in a sporting, subtly elitist atmosphere. From the ‘Peugeot Sport' embossed sills, to the quality of detailing of the red stitching on the dashboard, and leather steering wheel, gear lever gaiter, door panels, armrests and seats – all contribute to an appealing and sporty interior ambience. The seats are specifically of a new sports design, dressed in a mix of full grain Nappa leather and black Alcantara and branded with the monogram ‘R'. On the centre console a chrome plate confirms the character with a red inscribed ‘R' emerging from a certification plate of brushed aluminium with four visible screw fixings. Inspired by aviation, it symbolises the hallmark of ‘Peugeot Sport'. 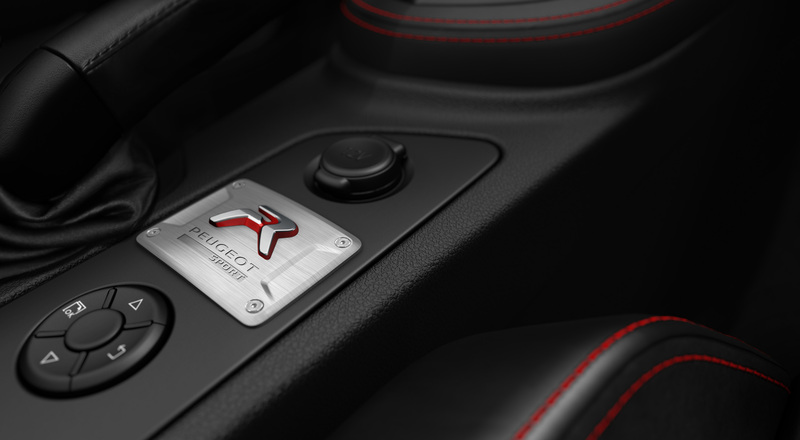 When entering the vehicle, the driver discovers an ergonomic driving position, ideal for enjoying the dynamic qualities of the RCZ R. The smaller steering wheel and short shift gear stick with a specific aluminium knob have red highlights which compliment the bespoke bucket seats developed by Peugeot Sport. With sight and touch, hearing is not forgotten! The exhaust system has an enhanced Sound System linked to the draw of the intake and amplifies the sports character of the new RCZ R engine. "The search for performance and efficiency evolved through a race-bred programme has guided many choices during the RCZ R's development, including the design and specification of the drivetrain, gearbox, brakes and tyres beyond the usual criteria, in order to allow the most enthusiastic drivers to perform." Budar Pierre, Project Manager RCZ R.
The sporty nature of the RCZ R is reflected in its performance figures, with a maximum speed of 155mph (electronically limited), a 0 to 62mph (100kph) achieved in 5.9 seconds, the 400m standing start in 14.2 seconds and 1000m in 25.4 seconds. The times are also very low from 50 to 70mph, which takes just 6.8 seconds in (6th) top gear. The low centre of gravity, aerodynamic performance, improved suspension settings (wider track, camber angle, wider rims of +0.5") and Goodyear Eagle F1 Asymmetric 235/40 R19 tyres optimise adhesion and ensure outstanding road holding. The suspension has a new specification of dampers, increased stiffness of springs and a stiffer anti-roll bar, that allows for great handling and agility. The Torsen® differential enables the engine to be fully exploited with maximum torque from 1900rpm to give the RCZ R good braking and cornering stability, especially when tackling tight corners. 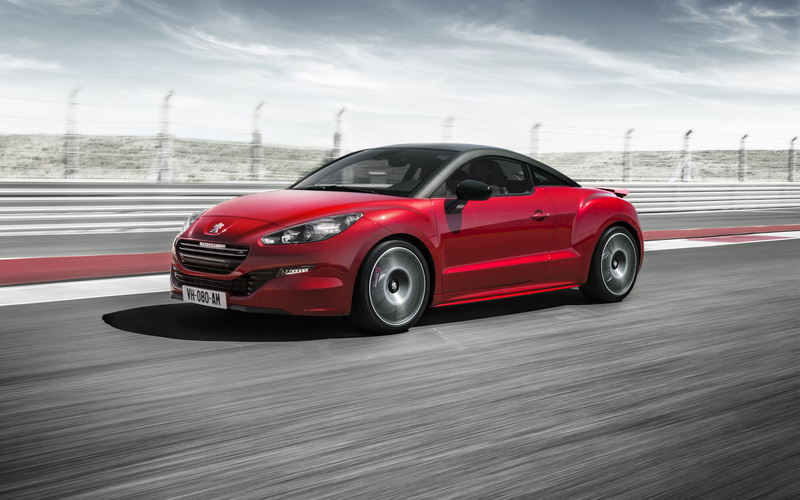 The performance and agility of the RCZ R is the result of many sessions of development and validations on and off track, especially with Peugeot Sport's test drivers. Their requirement for excellent braking naturally oriented towards the technical specification of four-piston calipers, which allow a significant gain in stiffness and therefore pedal stroke, while reducing the unsprung masses. Discs with a diameter of 380mm and thickness of 32mm, are mounted on an aluminium hub. This contributes to the weight-saving and cooling performance, derived from the Alcon racing experience, to provide brake durability and outstanding performance, so braking from 80mph to zero requires less than 61 metres. "To get 270bhp and 330Nm of torque from a 1.6-litre engine and be resistant to sports use on the racetrack, it was necessary to introduce new high-performance, competitive solutions. Peugeot Sport has all the skills to do this. Research and Development teams brought together their experiences and expertise to ensure the sustainability of the car and its industrial application." Thierry Chauvet, Engine Development Manager for RCZ R.
RCZ R is equipped with a new 1.6-litre THP turbo gasoline direct injection. It develops its maximum power of 199kW (270bhp) at 6000rpm and a maximum torque of 330Nm at 1900rpm to 5500 rpm. This new engine 'EP6CDTR' has been developed extensively, with many parts having evolved or been completely redeveloped for the performance requirement and to meet sporting use with the robustness of a competition engine. The engine itself is reinforced by a specific heat treatment prior to machining to improve durability. The twin-scroll turbo has been developed specifically to benefit from an ideal design for this application and this level of performance. Associated with a steel exhaust manifold with unique architecture inspired by racing systems, it can take higher temperatures. New pistons, providing a compression ratio of 9.2:1, were developed with Mahle Motorsport, taking a forged structure and a grade of aluminium used in Formula 1. Their cooling is provided by two jets. The con rods were specified to withstand continued use at high engine speeds. Their bearings are covered with a polymer coating that can withstand the higher cylinder pressures, patented in 2011 and presented by Mahle, they are premiered exclusively on RCZ R.
RCZ R was developed as a racing version by Peugeot Sport to meet a sports track use, but also to be durable in road-going applications, so it is docile and responsive for everyday use on the road. Calibrations of the powertrain combine the requirements of a sporty driving style on the circuit and in daily use. In addition the level of torque obtained from very low engine speeds allows for a strong dynamic experience daily on the road. The suspension improves agility and is incisive for best handling but the RCZ R does not compromise the comfort levels set by the similar RCZ 1.6-litre THP 200. 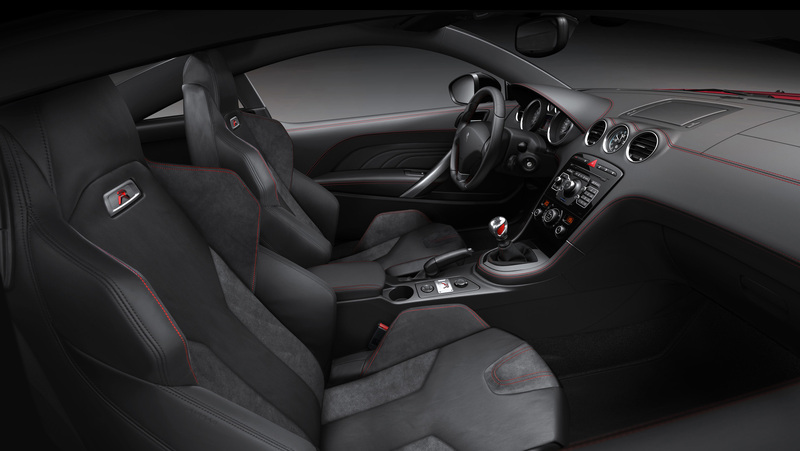 Finally, the finest materials and ergonomics of the driving position, its enhanced unique features and impressive economy - 44.8mpg on the Combined Drive Cycle – make the RCZ R a great performance car with comfort and convenience outside life on the race track.